2019 Ooltewah Owls Varsity snagged a late lead and defeated Cleveland 3-1 on Monday. The game was tied at one with 2019 Ooltewah Owls Varsity batting in the top of the fifth when Kael Williams’s sac fly scored one run for 2019 Ooltewah Owls Varsity. The pitching was strong on both sides. Chris Bayne struck out six, while Williams sat down eight. In the top of the fourth inning, 2019 Ooltewah Owls Varsity tied things up at one when Bayne singled on the first pitch of the at bat, scoring one run. Bayne got the win for 2019 Ooltewah Owls Varsity. He allowed four hits and one run over seven innings, striking out six and walking one. Williams took the loss for Cleveland. He allowed three hits and three runs over seven innings, striking out eight. 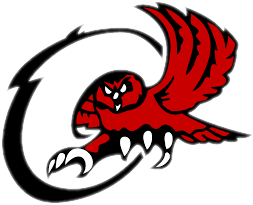 Noah Huling, Bayne, and Colby Taylor each managed one hit to lead 2019 Ooltewah Owls Varsity.